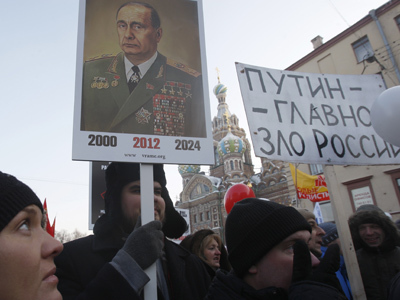 Moscow’s population has become visibly more politicized in the run-up to the elections. Against that backdrop, police in the capital are preparing for a very busy day ensuring that several mass gatherings of people with opposing political views pass off peacefully. Officers warned organizers of the opposition demos against any departure from their publicly-declared plans. If they try to turn a sanctioned rally into an unsanctioned march, law enforcers will intervene, police Chief Vladimir Kolokoltsev said. The senior officer lashed out at calls, published online, for demonstrators to arm themselves with sticks and batons. The opposition rally “For Fair Elections” had been planned and organized long before Sunday’s presidential poll. The opposition had no doubts it would be rigged and was preparing to declare the poll illegitimate due to a number of expected violations. 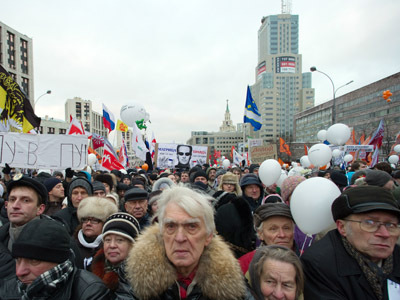 Organizers expect between 10,000 and 30,000 people to take part in a demonstration on Pushkin Square. The city authorities say that if the number of protesters exceeds expectations, they will close a nearby street to traffic and extend the territory for the gathering. Defeated presidential candidate Mikhail Prokhorov, who won almost 8 percent of the vote on Sunday, has said he will try to attend the demonstration. The prominent anti-corruption blogger Aleksey Navalny has not ruled out an appearance on Pushkin Square either. On Monday he stated that he was not surprised by the results of the election and that “the only surprise was the scale of falsifications.” The opposition monitoring center, Rosvybory, which is the brainchild of the activist, is expected to present an independent calculation of the votes. 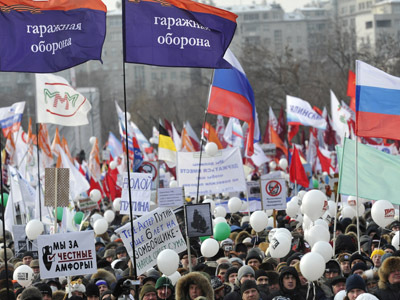 The event will be the latest in a series of mass protests that began last December after allegations of widespread irregularities in State Duma elections. Nashi say their goal is to oppose those who try to discredit the legitimacy of the election. They say they expect some 15,000 supporters at the rally. 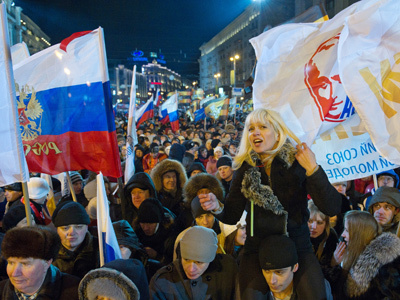 Another major pro-Putin rally will take place at Lubyanskaya Square, a venue originally requested by the opposition. Organizers expect more than 1,000 people to show up on the square, which saw a similar rally on election day. 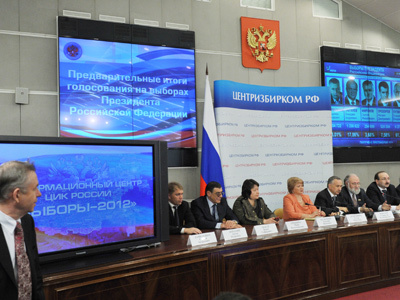 Pro-Putin events are being held for a second day. 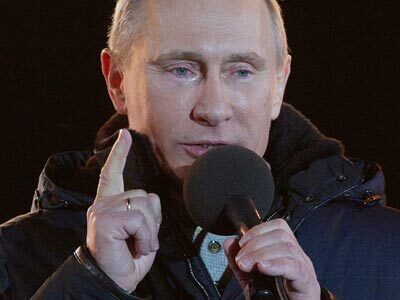 Moscow police say over 110,000 people came to Manezhnaya Square on Sunday to celebrate the prime minister’s victory in the presidential race. Preliminary results say he won 63.6 per cent of the vote. Vladimir Putin and Dmitry Medvedev both addressed the crowd by the Kremlin walls.